Ergonomically designed for easy installation and operation. IP55 rated for indoor/outdoor use. 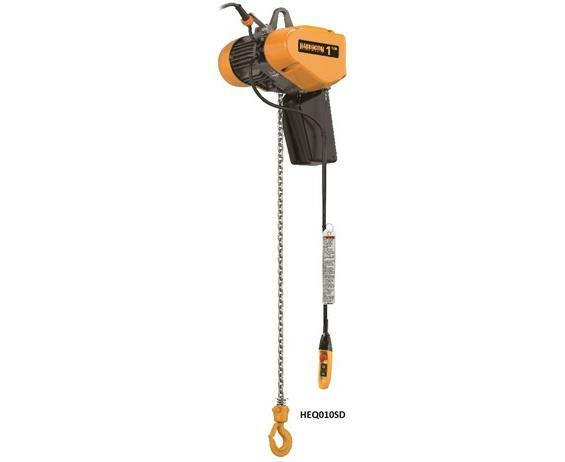 The EQ/SEQ dual speed electric chain hoists are loaded with cutting-edge features such as a no-load high-speed function that automatically increases hoist speed up to 130 percent when the load is less than 30 percent of working load limit. Both 3-phase EQ and 1-phase SEQ come standard as dual speed via variable frequency drive (VFD), a true revolution for single phase hoist controls. 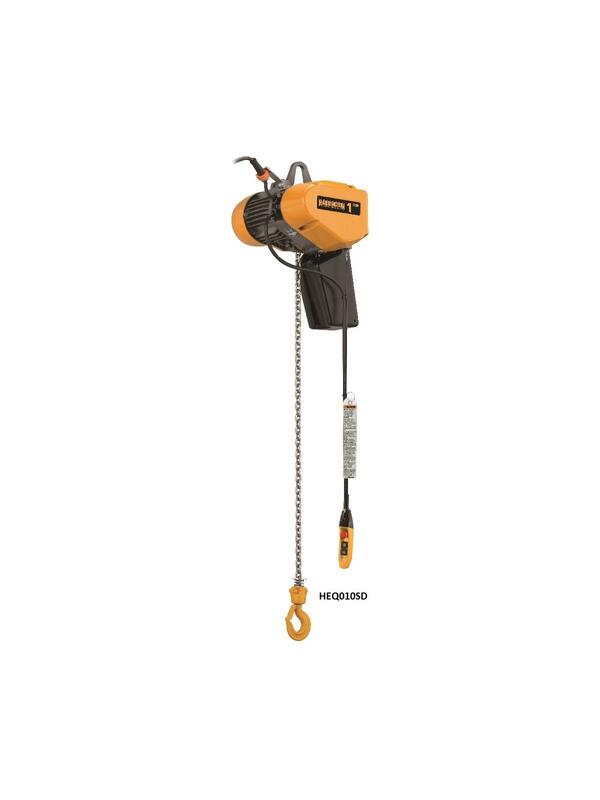 Both hoists have ASME H4 classification, IP55 rated enclosure and IP65 pendant. 208-230V/460-3-50/60 or 380-460V-3-50/60 power supply on the EQ, and 115/230V-1-60 (reconnectable) power supply on the SEQ. Optional suspension bar available for low headroom or enclosed track trolley applications. Push/Pull, geared or motorized trolleys (on the EQ) unites available. Call for details. FOB Shipping Point.